TripAdvisor, one of the largest online travel site, has recently ran a survey, and found out that two-thirds of travellers take items from hotel rooms – from toiletries and tea, to batteries from the TV remote control. How was the survey done? The research was commissioned by TripAdvisor and conducted by Edelman Berland, an independent market research firm, conducted via online survey in June and July 2013. Survey respondents were 10,469 accommodation business owners and 19,692 18+ adults who have booked travel online and taken at least one trip in the past year. Respondents were from over 20 countries, and the sample size is quite substantial. Two-thirds (65%) of global travellers and 63% of Asian travellers admit to taking something from a hotel following their stay, with toiletries being the most popular pilfered items. 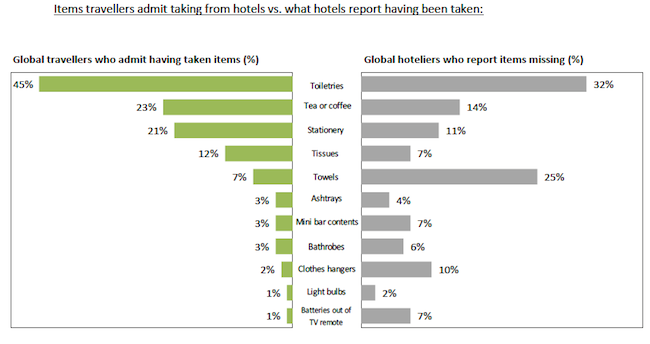 Three in five (59%) global hoteliers and an equal number (59%) of Asian hotel owners report that their guests often take a variety of items when they leave. Guests are more likely to admit taking items that are customarily thought of as complimentary such as toiletries or stationery. However it seems some travellers feel that the towels, light bulbs and batteries they find in their rooms are free for the taking as well. 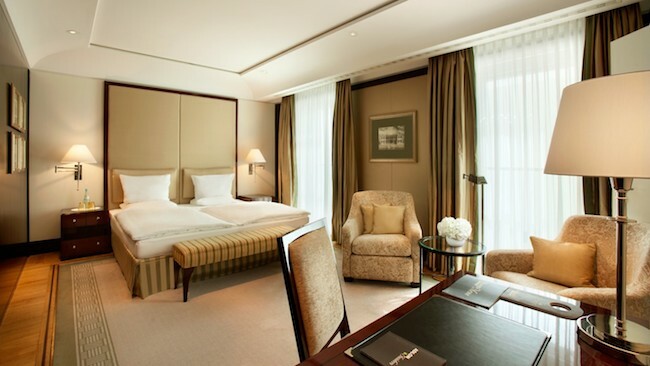 Despite only 7% of global travellers saying they have taken towels from hotel rooms, an alarming 1 in 4 hoteliers report towels going missing following a guest’s stay. Some travellers have peculiar ideas about what makes a good travel memento – 1 in 10 hoteliers report clothes hangers going missing and 7% have found the batteries removed from TV remote controls after guests check out. When it comes to the key motivators for choosing an accommodation, travellers around the world love a freebie. Over the past year, traveller interest in complimentary amenities has gone up, reinforcing the idea that one of the best ways for hoteliers to entice guests is to offer free services as part of the daily rate. Looks like everyone love freebies. Have you taken anything from the hotels during your stay?